People around the United States are beginning to recognize how urgently the country’s citizens need to learn practical lessons about handling their personal finances. But the financial literacy movement is far from being confined within US borders. In fact, in 2015 the National Financial Educators Council plans to launch a global financial education program, and the organization currently seeks partners and ambassadors to join this movement. The NFEC’s campaigns are carefully constructed to generate strong support from communities and their financial education program is designed to reach target audiences with motivating, practically applicable personal finance lessons. The international initiative will help host organizations generate revenue according to a variety of business models, and provide turnkey campaign solutions including marketing and promotional materials. Now that this independent organization plans to expand into a global market, they need to establish partnerships with individuals and groups that have existing relationships with influential community leaders, and funds to invest in bringing financial literacy education to their countries. The NFEC has a variety of initiatives available including financial literacy programs for adults, retirees, young adults, teens, and children. The NFEC chooses its partners for the international financial education program based on their ability to generate wide reach and high-level awareness about the campaign. In addition, the organization seeks Community Ambassadors who are willing and able to actively promote financial literacy around the world. NFEC global financial education program Ambassadors are asked to raise awareness via the social media and word-of-mouth. In return they can receive financial educational materials translated into their native language and optimized to meet their constituents’ needs. To date, the NFEC has already begun reaching a global audience by serving as lead consultant on a financial literacy education program that now serves more than 40,000 residents of poor rural areas in the Middle East. 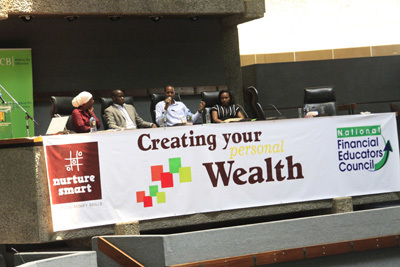 They also partnered with Nurture Smart to launch an educator training program in Kenya.